Atopica for Cats 5ml is a pioneering oral solution used in the control of Atopic Dermatitis in cats. Atopica for Cats - 5ml is a Prescription Only Veterinary Medicine and by law requires a prescription from your vet. Atopica for Cats 5ml is a pioneering oral solution used in the control of Atopic Dermatitis in cats. Like human allergies, the onset of Atopic Dermatitis may be linked to seasonal pollen and other airborne allergens, which make your cat’s skin become itchy, red, irritated, and even scaly. Rather than solely masking these symptoms, Atopica Oral Solution targets the problem at a cellular level to help stop incessant scratching and provides relief for your cat. 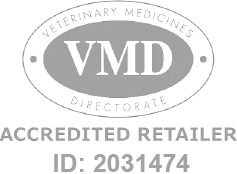 Given as directed by your vet, the active ingredient, Cyclosporine, targets key cells in the immune system to stop the allergy at the source and ease the symptoms of Atopic Dermatitis. The oral solution formulation makes dosing easy as it can be given on the cat's food or directly into the mouth. Atopica for Cats is manufactured by Novartis Animal Health and is developed specifically for cats. As such, it must never be used in other animals.